Selling Internet of Things (IoT) - do you know who your real buyer is? IoT solutions create value that cut across organizational boundaries. Identifying a single buyer or owner in today’s traditionally structured organizations is difficult. I will discuss the reasons for this, and provide six best practices for selling IoT solutions into corporate organizations. In a corporate environment, the buyer of Information Technology (IT) solutions and services is well established and known. But this is not the case with IoT solutions. These new class of solutions fall into a “no man’s land” between IT, the business units, operations and services groups. 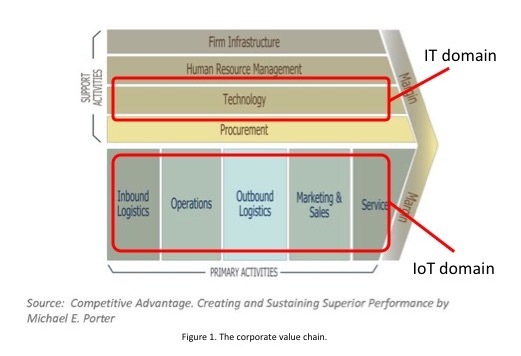 Unlike the centralized IT procurement model, sourcing of IoT solutions is largely decentralized with the buyers residing in one of several internal organizations. Most companies today do not have a central organization, such as an IoT office, that makes the buying decisions. Suppose you are offering a remote sensing and monitoring solution to an industrial grade washing machine manufacturer. Your solution is integrated into every washing machine sold and sends data back to the manufacturer on a daily basis. The information collected during field use has a number of internal customers. The after-sales services group uses the data to determine when service is required and to spot early signs of trouble. The product design group uses the data to understand how its customers use the washing machines, what features they use most, and how to develop better models. The sales and marketing group uses the information to understand what features customers use most in order to develop more effective marketing messaging and programs. The IT organization authenticates the data and integrates it into its data warehouses, ERP system, and other business applications. While multiple groups find value in your solution, who is the primary owner and buyer? The answer varies from company to company. It may be the traditional IT group with one manufacturer, the product design group with another, and the after-sales services group with yet another. This lack of a centralized buying organization makes it difficult for solution vendors to find the “right” buyer and slows down the sales process. Secondary activities are not directly involved in the primary value generation activities, but support the organizations and functions that do. These include IT, finance, human resources, legal, and procurement. One fundamental difference between IoT and IT is that the IoT solutions are directly involved in an organization’s value creation processes. In the remote sensing solution example, the manufacturer’s after-sales team uses the data to detect early signs of trouble. It then proactively orders replacement parts and schedules an onsite service call with the customer to fix the problem before the washing machine breaks down. This step of predictive and proactive maintenance directly creates value for the customer. In contrast, IT may maintain the database that stores the customer data, or build the integration that allows the data to connect with the spare parts order management system and service appointment booking system. Despite the networked nature of IoT solutions, IoT is not IT. IoT is more like industrial technology, or operations technology than information technology. It is for this reason that IoT occupies a different domain than IT. It is this primary reason that the IoT buying process is decentralized. 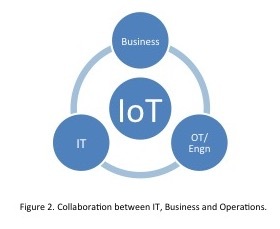 In today’s corporations, IoT is a collaborative effort by three different organizations – IT, the business units, and the primary value creation functions such as operations, manufacturing, marketing, and engineering (Figure 2). The primary buyer will come from one of these organizations. In order for a purchase to actually happen, these organizations will coordinate among themselves over roles and responsibilities, budget allocation and transfer, and resource allocations. Some of these negotiations and planning may occur in a structured forum, such as in a monthly business unit-IT coordination council or steering committee. Continuing with the remote sensing and monitoring solutions example, let’s assume that the primary buyer (and the one that gets the most benefits) is the after-sales services organization. They may have budget for the solution, but do not have resources and expertise for implementing and maintaining the IT aspect of the solution. They must collaborate and negotiate with the IT organization to support the “back-office” portion of the solution. If they have sufficient budget, they will transfer some of their budget to IT in order to support their IoT solution. If they do not have sufficient budget, they must collaborate with other internal organizations who find value in this solution (e.g. the product design organization, the marketing organization, etc.) and pool their resources together to jointly pay for this solution. Because IoT management and procurement is decentralized in most of today’s corporations, this collaborative buying process is commonplace. While this adds complexity and slows down the adoption process, it also exposes the value of IoT to a larger audience, drives interest across the corporation and facilitates future buying efforts. Understand where your solution fit within the corporate value chain. 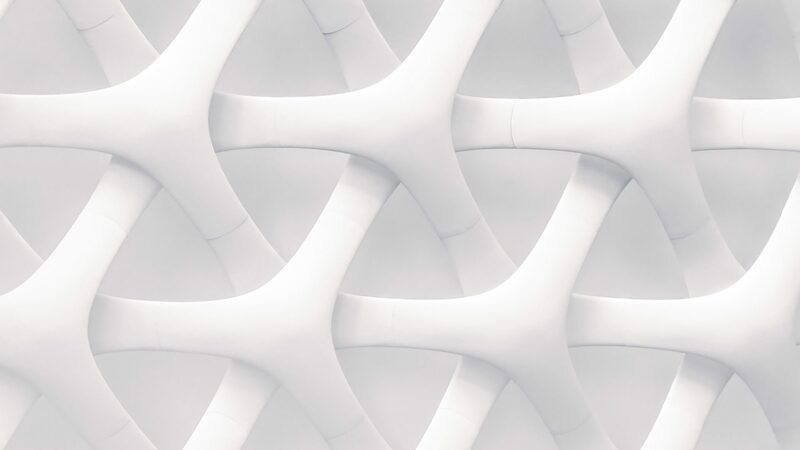 Whether you are selling an on-premise or a SaaS based IoT solution, determine where IT and IoT fit within the context your specific IoT solution. This will help you understand who the primary buyers are, as well as the secondary buyers, and the role of IT and the various business functions. Engage the corporate Digital, Transformation and Innovation offices. In a decentralized procurement environment for IoT solutions, these offices (if they exist) have visibility and influence into a lot of cross-functional innovation initiatives (often involving the same functional groups affected by your IoT solution). They will save you a lot of time and point you in the right direction. Engage with every function touched by your solution. 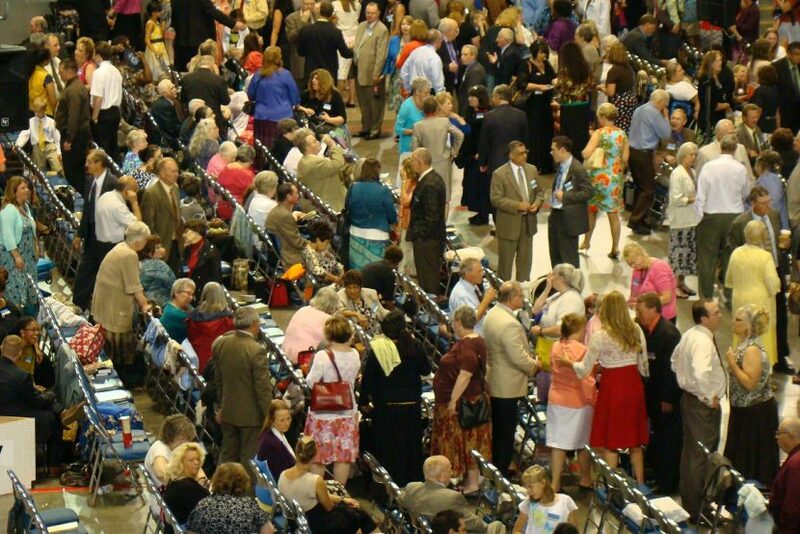 Each of these organizations is a potential buyer (primary and secondary) of your solution. In a decentralized buying environment, they collaborate with each other to pool their budgets and resources. You must ensure that all these organizations understand and support your solution. Connect the dots for your buyers. Your solution sits in between IT, the business units and the various operations functions. Your buyer won’t have the support and resources to deploy your solution. Help your buyer plan for the internal collaboration meetings. Identify what resources, support, and budget is required from other teams. Provide interfaces, sample agreements, a list of the roles and deliverables, as appropriate. Build your sales pursuit plan around a decentralized procurement process. This is a more complex sales engagement, and requires interactions with multiple organizations. Build and plan your resources and support around a longer sales cycle. Help your buyer understand how to buy from you if you are a startup. Buying IoT solutions from new companies entail certain risks. Their corporate procurement processes are not effective and will only increase their risk. Help your prospects develop a new set of procurement practices when buying IoT solutions from startups like you.